During those seemingly safe years after the second world war, my family moved to Watford from Harrow, when I was just 7 years old. The town was almost self-contained having just about every shop and business from one end of the High Street to the other. It was like one huge village with everything you needed within easy walking distance. The Bus and Rail network was very advanced by 1955 and we could go up to London or out into the country areas very easily and I used to cycle out to Bovingdon to watch American aircraft at the Airforce base there. We lived just 100 yards from the Town Hall and it was very handy to walk from home to Cassiobury Park with the dog, or when we’d go roller skating down the smooth tarmac between all those London Plain Trees. We used to walk to Chater School in West Watford, and we never needed to use the car to go shopping in the town it was all there for the asking. It didn’t matter if we wanted a joint of Pork or a Piano or a fresh baked loaf, or even a bow and arrow we could buy it on the High Street. There were Department stores; An open air Market; Pubs; Furniture stores; Woolworths. Tailors and even a Snooker Hall over Montague Burton’s gents outfitters. Farmers came in from outlying rural areas to the Cattle Market, and a cockle stall set up once a week outside St Mary’s Church in front of The One Bell public house. Queens Road had its shops selling all kinds of things from second hand books to Mopeds and Cycles at Mr Buntings cycle shop. Buntings could be relied on to fix a problem on a bicycle at very reasonable cost, especially when income was only Saturday pocket-money! Motorcyclists were catered for at Lloyd Cooper in that street too. They are still trading. Second Hand book shops were a favourite haunt. Another business that hasn’t vanished is the Queens Road Music shop that still boasts “Watford’s Oldest Music Shop”. I was in the choir at St Mary’s until my voice-cracked at about 12 years old. Recreation was centred around the Park and the Rivers Gade and Colne. We used to play quite dangerously on the canal lock-gates but there were never to my knowledge, any accidents down there. Brightly painted barges would regularly sail down through the locks and we’d often stand by watching it all happen. The annual Whitsun Carnival came past the end of our road Rosslyn Road and ended up at the opening of a fairground in Cassiobury Park just beyond the Bandstand. The Town Hall was host to many great concerts and they also had a kind of Ideal Home exhibition where I remember seeing the first ever push-button telephones on display. In my teens I would regularly frequent the wonderful Mocha Bar on the Parade by the Odeon Cinema in front of the pond, where real Italian Espresso Coffee was sold from a proper Gaggia catering machine. The Odeon was demolished to make way for a huge ugly monstrosity of a building designed by someone who appeared to be obsessed with the shape of a dodgem! We had five cinemas to choose from though, as well as the Palace Theatre. Saturday morning pictures were hugely popular with kids around 10 years old and I still remember lots of the movies we went to see. When doing up a house in those early days of DIY there were plenty of Ironmongers and Hand Tools retail shops to choose from. Marsh and Russell springs to mind as one of the town’s best, in Market Street which was a veritable emporium for getting timber cut to size, or buying screws and nails. I remember the first ever worktop laminate coming on the market called Formica, and the first Chipboard called Weyrock. My father used to buy hand-cleaner in tins, called Dirty Paws, and a barrier cream known as Rozalex. I think you can still get both of them today. Giant Scammel lorries sometimes took to the back roads of West Watford, on test from their factory down at Tolpits Lane. The driver seemed to be right up in the sky, to a small child and I could never work out how they could see where to steer from up there! We had a beautiful back garden with poplar trees at the end, and once or twice a woodpecker visited and would give us a morning alarm with his drilling the trunk. I can still remember the sound of the Town Hall clock chiming through the night and sometimes when the wind was in the direction of our house from Watford Junction you could hear shunting going on with goods trucks in the sidings level with Orphanage Road. Some day I’ll go and record the Town Hall Clock sound early on a Sunday morning before the traffic is up, just for soppy old nostalgic reasons. That’s a nostalgia fanatic for you! I’d best be quick as there was recent talk of the Town Hall being demolished to make way for some new noisy idea to take it’s place. Wasn’t it a Lutyens design? Beautifully under-stated and never looked grubby. Surely they can get decades more use out of it with a little imagination? Finally, who from that time can forget the fabulous ice cream sold at Rossis at the bottom of the High Street? It later became DeMarco’s cafe? It was something very special. I think the Rossi’s name still lives on with ice cream in Southend on Sea but I don’t know if it’s the original founders of the company. This page was added on 23/11/2007. Wow!! Better late than never, what a trip down memory lane. I was born in Abbots Langley in the early 50s, had a big sister, Fay. Our memories of Watford are so different, we both went to Francis Combe, our mother worked in Clements and Cawdells, Jenny. Use to annoy me all the girls use to refer to me as Mrs Miller’s son. I was a mod so all those dance halls, Top Rank, The Trade etc were great and the stars we were lucky enough to see. But Watford could be a bit hairy, as Joe Kinnear said when interviewed about his past, Watford was a hard place, but what memories. All centring on the High Street, a place that changed from daytime to night. Ruined by developers as Abbots Langley was, most probably why I now live in the Cotswolds. Names I remember mentioned on this site – Dave Charlwood, I lived near him, played football with him and worked with him. Matt Hughes, now owns a market in Lytham St Annes or last known did, after years of working St Albans Market selling crockery obtained through his contacts during his Stoke City days, played with him also a great footballer. Remember going to Kingdom Hall with a mate, Brian Gibbard, different! as a mod, but as a friend of the Gibbards no one touched me. Watford had character then, the pond, the town hall with its flower display at the front, no more. We were very lucky to have been part of it in the 60s. I have a mate now who lives in Bedfordshire, Mick Calvin who came from West Watford and went to Watford Grammar. We have great chats about Watford and it’s characters over a glass of red wine or two. A place to be proud of and say we came from there. I was looking up Tunnel Woods as I went to Northfield school when I was a kid, when I stumbled on this page. We went to live in Watford in 1943 and there was no houses due to the bombing which was especially bad in North Watford and also evacuees from London so we joined other families and lived in The Gaumont Cinema until better accommodation could be found. I can remember so much – the canal, the lock gates, the paddling pool which had a slippery surface and I remember getting very wet!. the River Gade where we used to tadpole, and the piggery off Parkside Drive – the old Cassiobury Farm I think – where if we collected a bucket of acorns we were paid 3d. The nights that the Doodle bugs came over , the hole in the Wall where my mum would get black market goodies. Now I live far away, in the northwest of New South Wales but there will always be a very soft spot for Watford, the support between families due to the war, the simple pleasures of life which as I look back are something that may be the modern generation do not have. Recently , on one of our trips back to the UK we went to Portugal to spend a few days with my great friend, the Mums met in an air raid shelter, and we have stuck together all these years – reading those entries – based on something that Watford gave us and to others. Judy Davies nee Pearson New South Wales. This site has brought back many happy memories for me.I was born in Watford during the war but always lived in Bushey.My first job was working in Clements, in 1957 when I left Bushey Manor School. I loved the High St and the Market. 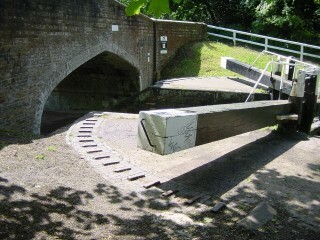 Going to Cassiobury Park in the summer down by the Canal. Thanks to everybody who has written on this site. Hi, If anyone out there is still following this page I just read through all the wonderful nostalgia that’s here. I was born and in Watford and lived there and Bushey Heath from the 1940s to the 1960s. Wow, it’s wonderful how other people’s memories jog one’s own into life. Like everyone else, I remember wonderful times playing in Cassiobury Park, and even when I was tiny I understood how wonderful the old gatehouse was. What vandalism to destroy it! I loved the window displays at Jacksons the Jewellers, and for a while I had a Saturday job at Clements, in the Linens Department. Much earlier, the Queen’s Pantry was a tea room/coffee shop which I guess was in Queen’s Road, and it had a mural of the Queen of Hearts on the wall inside. And didn’t Waitrose come to the Odeon site in the 1960s? I could write masses (and maybe I will some day) but that’s probably enough for now. Anyone remember my dad/ stories of my grandpa and granny? Dad, David Spence was born in Watford in 1933, and went to ‘Broderick school’ 20 woodland drive, Watford when he was 5, in 1938. Then later to Aldenham boys school; Grandpa was a doctor/ surgeon in Watford hospital- Dr Douglas Benham Spence. Any memories would be lovely! Just seen your response to my comment regarding my cousin Wendy. Sorry it’s taken so long, but I do find this site extremely difficult to follow since it was changed. Nothing seems to follow and to be honest I’ve lost a lot of interest in it, which is a shame. It’s nowhere near as interesting as it’s so disjointed. Nothing seems to make sense. I have commented on this, but never received a reply. However, apart from at a relatives funeral some years ago (John Wayman who was heavily involved and highly regarded with youth football in Watford until he died aged 91), I haven’t seen Wendy (Bray nee Middleton) since childhood. As far as I’m aware she now lives on a narrow boat. She has a site on Facebook. As far as I recall she married Simon the week before I married at Christchurch on 1st October, 1966. She moved to Bude in Cornwall and her mother Mert or Nora as some knew her, who was widowed from Harry Middleton moved to be close to them. Sadly, Wendy’s marriage didn’t last and she moved back to Luton area where she remarried. She has a daughter and grandchild, but as far as I know she isn’t married now. Wendy’s mum lived her life out in Bude on her own! Shame how families lose touch. Christine Partridge, I have just spotted your comment above, about Wendy Middleton being your cousin. I lived next door to her at number 22. we were very good friends, and perhaps had i not joined the Navy we may of been going out together. If you can and if you see this comment could you find a way to let me know how Wendy is getting on, and if you remember me now. This is a very belated response to Tony Atkins follow-up dated 14.10.13, to my recollections. Sorry Tony for 3 years delay in responding. I don’t often browse this site anymore, since it was changed from it’s original format. I find it too confusing as nothing follows a pattern anymore. However, you asked if you might have known my Aunt who lived in Copsewood Road. Her name was Nora Middleton (known also as Mert) where she lived with her husband Harry and daughter Wendy (my cousin). I can’t remember the exact number of the road, but from walking up from Leavesden Road they lived about half way up on the right. Also, you commented that your relative worked for the railway. Coincidentally, my grandfather also worked for the railway. His surname was Froud and he lived at 39, Parker Street with his wife and large family, sadly all now gone. I do hope you get this response, albeit late. drink being made in what looked like a rocket shaped glass vessel. Then you could go to the Mocka bar or the Chef corner for a really great evening, then perhaps Courting down Cassiobury Park hand in hand, daring to steel a kiss, such memorable days.These were such innocent times. Now there’s Facebook email and IPads which seems to be the order of the day. I still have photos of Helen, and all the memories we shared together tucked away in my mind, Yes Boots the Chemist in Queens road long gone now, I used to dress all of the 12windows with anything from Cod liver oil and Malt, to Flannels and toilet rolls. But the Navy was my next step, and in 1955 I joined up, and each leave I spent with you Helen and Malcolm. I remember Opposite the empire cinema at the top of market street was w h lavers and son timber merchants, that’s where me and Malcolm would wait for you. 1950s Watford great times. Hi Carole, wow how surprised I am to come across your comments. Those times with you and Helen are truly deep memories, that never fade. Malcolm and I used to visit the Mocka bar, and the Chef corner house. How can we exchange email addresses , so we can catch up. I bet we have changed from those blind date years, I think we first went to the pictures at the gaumont. Tony Atkins, I remember you when you worked with my mother Mabel Dale in Boots before you went into the Navy. We went out for a while then you went out with my friend Helen Charlton. I cannot see any recent comments from you but if you still are around it would be nice to meet up. I will look for your comments to see if you still look at this page. Carole Dale. Almost 90 years old now and only just discovered this page. Is there anyone else out there who has similar memories about Watford in the 1930`?? I left Watford in 1939 to go to Australia. Have been back for some years but live in Devon now. It was a wonderful place for a schoolboy all those years ago!! Lovely to know that the “next generation” enjoyed it as much . I am preparing an exhibition about the Parish Church of Watford – St Mary’s church. I am looking for old photos of the interior of the church which I could scan and then use in the display. Can anyone help? Born in Hemel Hempstead in 1949 while my parents were staying my my paternal grandparents in Kings Langley, I grew up in Grover Rd, Oxhey (not South Oxhey but Oxhey proper, just up Pinner Road from what was then Bushey & Oxhey station. My first school was Pendle, a small prep school situated in a large country house almost opposite where Bushey Meads school is now but at the time I was at Pendle, Bushey Meads was being built. Then circa 1956, I moved to Watford Fields Infants and Juniors, thence to Victoria Secondary Modern in Addiscombe Rd with an annex in William Street. 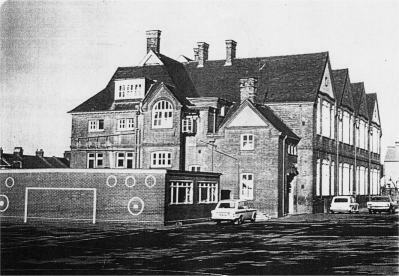 In 1962 the school was moved to a brand new site in Tolpits Lane, West Watford that had an indoor swimming pool, woodwork and metal work shops, an art studio and a little tuck shop. To get to Watford West from Oxhey my brother Karl and I, plus several others, would take the train from Bushey to Watford High St then catch the Croxley Green train to alight at Watford West. What a nightmare of a journey that was each day. Talk about St Trinians! I can remember the Odeon and Gaumont cinemas and seeing the Italian Job at the Carlton cinema on Clarendon road (or was it Queens Road?). The cinema had a dirt carpark and Watford’s one way system had just been opened. The route included Beechen Grove, a right turn into the top end Water Lane then into Exchange Road. After the film the carpark was like a Le Mans start with us lads racing to our cars, revving engines, dirt and stones being flung up as we vied with each other to be first onto the one-way system. Total madness but great fun. Not so much traffic back then of course. The Top Rank Suite springs to mind with the occasional punch up in the pond outside, often instigated by those whom the bouncers deemed to be unworthy or unfit to be allowed in. I also recall a brilliant market behind the High Street. It had the feel of a ‘real’ market with traders shouting their wares, plus a small brick built fresh fish stall and next to it a similar brick built stall that sold fresh meat, including skinned rabbits. From about age 11 I had a Saturday job with Brown’s greencrocers in Capel Rd. They had a stall in the market overseen by one of the owners, a chap named Harold. Harold would do the call-outs ‘Get yer bananas here. All yer bananas! 1/-d (that’s one shilling or 5p for those not familiar with ‘old’ money :o) ) a pound….Fresh cucumbers, lovely tomatoes, all yer fruit and veg’ etc. The place had atmosphere. Then there was Cramer’s model shop close to High St station (I think Cramer’s burned down some years ago). Between the station and Cramer’s was a coffee shop that roasted fresh coffee beans, filling the air outside the shop with an almost continental smell of roasting coffee. I also had a paper round, delivering papers for Stan Pike’s paper shop on the Parade, to the big houses on Cassiobury Drive, Parkside Drive, Hempstead Road. Trainspotting at Bushey and Oxhey or Watford Junction was a popular hobby as was taking the DC line to Willesden Jct for a short walk along a canal towpath, past McVities biscuit factory, to sneak under the fence bordering the big railway yard at Old Oak Common to see GWR locomotives stored there prior to being scrapped. I moved from Watford in the late 1960s so have no idea what the town is like now but back then it was a great place to be – terrific High St, many cinemas, New Penny disco on Queens Rd, Top Rank on the parade, Trade Union Hall on Station Rd by Watford Junction close to where the buses used to park. London was only 30 minutes away. I had mates in Hatch End so used to go there fairly often. One evening we visited a pub very close to the bridge at Harrow and Wealdstone station. A guy was playing a piano. A while later we learned it was Elton John – obviously not famous then! I was told the Who used to play at the Trade although I didn’t go there very often so never saw them, and circa 1964/5 the Zombies (with Van Morrison?) won a battle of the bands type contest at Watford Town Hall. As if that wasn’t enough, plays would be shown at the Palace Theatre before going to the West End. What a place Watford was in those days – almost a mini-London but with London itself right on the doorstep. No wonder house prices have gone through the roof. There must almost be a waiting list of people wanting to move there! I used to work at John Blundell Ltd. It was an old fashioned department store where everything could be bought on tick (like Brighthouse). I used to work in the accounts dept with a girl called Erica. There was a cleaner called Phylis who seemed absolutely ancient and she had a daughter who had become a doctor. The gorgeous young manager never knew that his christmas dinner had been salvaged from the bin. A scary Mrs Ponsford was our boss. She was stern but kind and I loved her. I remember my first day – I had bought a bright orange handbag and got into Watford by 7.30 a.m. as I was so worried I’d be late. Top Rank on a Saturday night was brill. My friend and I would buy matching dresses and wear them with our black lace up boots. I was born in Bushey and grew up in Hemel so I’d get into Watford on the 322 single decker (due to the railway bridge). Hi there does anyone remember a place called bushey antiques 151 sparrows bushey, it was run by my great auntie violet and her husband i was just wondering what happened to them! Can any-one remember Sturmans the shoe shop at the High Street end of Queens Road. They had a machine, I think called a Fluoroscope, which x-rayed children’s feet to see if the shoes fitted correctly. Oh how fantastic that everyone has such warm and endearing memories of Watford. I too have been sitting here for a costly two hours or more. Does any one remember the little jewellers in Market St who did ear piercing while you sat on a three legged stool, no sophisticated gadgetry just a bodkin and a cork I believe, I had mine done at the age of 13 as a gift, complete with gold sleepers, from my mum and dad, then got stared at whilst walking round Woolies thinking that my new earrings were attracting some admiring glances, when my mum handed me her hanky and told me to mop up the blood running down my neck from the piercings. Has any one any memories of Alban Wood, Leavesden Green, or Leggatts way school, I remember a Miss Muggeridge at Alban Wood, the head at leavesden green Mr Burden (Sid) lovely man, Miss Dorothy Butler Mrs Pooley, Mr James and Mr Dutton and the caretaker Mr Cramer who was sadly killed crossing the north orbital in the 60s . I can still remember my senior school register, where are you all? and finally can anyone remember the art work that used to adorn the railings along the town hall walk to the gates [now demolished so, so sadly] of the park, I think that my parents bought a painting that was subsequently hung on the lounge wall of our council house in Hope Green. Have been sitting here for two hours, reading everyones memories.Most of the places mentioned i remember, with fondness. Watford dosnt sound very attractive now, to my mind it was perfect as it was. several people have said the heart has been ripped out of watford, and it seems so, but it will remain the same to all of us lived or worked there. My youngest brother was born in king Street hospital in 1952, he was born prematurely, so maybe it was an emergency hospital.We all came to Australia in 1969. Thanks to Letitia – I thought it might have been Oxhey and was doing a Google search when I saw your 2012 reply to my original post. The photo on this page conforms that it wax Oxhey park I was looking for. http://oxheypark.com/history.htm Thanks Letitia for your help. Really lovely memories. I was born in Souldern St in 1958. My father was born in Liverpool Road in 1924. Early memories are of learning to walk in Vicarage Rd Cemetery! Moved in 1961 to Kelmscott Crescent and went to Chater School- walking there and back at lunchtimes too. Headmistress was Miss Sennett and we had outside loos across the playground. Went to St Marys church and was a member of 19th Watford (st Mary’s) Brownies! My father worked at Watford Generating Station which was near Shrodells and which closed around 1966 – when we moved away to Huntingdonshire. I thought the country was awful- where were the street lights and pavements? I missed my school and the wonderful education it had given me, starting me on a lifetime of learning. I remember the Pond, the Crib near the Town Hall at Christmas, the smell from the coffee shop! The wonderful sculptures outside the Peace Memorial ( hospital where my grandfather had died) and the swimming baths, which were very noisy to a shy 6 year old. Learning to ride my bike in Cassiobury park, and the bus ride on the green bus to visit grandmother in Croxley Green. No one left now in Watford and I haven’t been back for years, but my husband visits Northwood for work, a long way from home in Wiltshire, which sparked my interest. Best Wishes to all ex-Watfordians! for the attention of Christine Partridge Hi Christine My name is Colin Sharman, I live in Tring, My father is Harold Sharman who ran the barbers shop at 99 Vicarage road Watford until he retired at the age of 65. He lives in Honiton Devon and will be 89 this august. Myself and my sister Christine will be going down to see them next weekend and it would be lovely to here from you before then. I am General Manager at Watford Printers Ltd in Vicarage Road And would love to here from you. My earliest memories of Watford are watery. Watford Baths in the 1960s had a cafe/shop where it was a family ritual to buy a pack of Horlicks tablets for 4d after a swim. For years they still reminded me of Watford Baths until they seemed to disappear from all shops not long before the old Baths were demolished. There were rows of baths in cubicles alongside the changing room and my mum would explain to my astonishment that some people didn’t have bathrooms or hot running water at home. I also remember a three tier diving board at the deep end of the pool with green sandpaper on the boards – good for scratching an itchy foot and catching veruccas! The concrete paddling pool in Cassiobury Park was also a favourite family outing in the summer but the water was often very murky as well as cold. just came across this site – amazing how easily memories are recalled upon a word or a name of a place – I’d completely forgotten these memories!! Cassiobury park, metropolitan line, the canal gate, Whipendale road, the pond at the ton center, the town hall, Wimpey(! ), Clements, BHS, the market, the Chinese restaurant on top of the market (loved that place! )…..I spent my teens on Shepherds Road from ’81 to ’84 and went to Northfield School for girls – would love to hear of classmates of ’88 (GCSC level)….Denise Hutchings which year wer you at Northfield and which teachers do you remember? Mrs Elliott, Mrs Patterson, Mrs Sade, the French / German teacher I forget her name but she was oddly me favourite teacher! Would love to hear from Northfielders!!! the houses at the bottom of leavesden road near the old bus garage where built by the midland railway i believe. the bricks look like midland reds. Very intersting site….I will add my memories of Watford soon…. I was born in Watford, (King St in 1952) 82 derby road, house was demolished in 1962 for the one way system….then mildred avenue, then thorpe crescent……I remember in 1960 (derby road being just around the corner) Bramwells cycle shop ( i think that was the name), lower high street, opposite the railway arms, next to the fish and chip shop Westons, gibsons the butcher was also in that row of stores…the old benskins building was at the back of these stores (just down a bit) other side of the small canal….I came across this site google mapping queens road, i’ve bought many a guitar from Stan in the 1970s, queens rd music shop, is he still alive? i now live in the states, last 20 yrs, i love sunshine, today (Jan 12th 2014) it was 78 degrees, last sunday it was 82, i was out with several bikers (motorbikes)…i don’t miss the cold, i don’t miss watford either, i remember the summer of 76, i bought a new harley in the spring…when i was 16 (1968) i think there were 21 pubs from the town hall to bushey arches…….also i read about the railway cottages on this site, they were at the side of reyford motors on st albans road..other memories….top rank, i saw tommy cooper, he came on stage, everyone was laughing and he hadn’t said a word, that went on for 5 minutes…dance hall above the green man, that was for the mods, kingdom hall for the rockers, I saw atomic rooster, the who, 1970, kingdom hall, i also saw a ton of bands at other watford venues…i see geo austin , scrap dealer, lower high street is still in business….as a kid i remember the gates at cassiobury park and the statues outside the peace memorial hospital, huge gold lion comes to mind…(having to jog my memory here)…i had a girl friend that worked at cawdells in the china dept downstairs, that would be 1969…perrings furniture store, woolworths on the corner of king street…the new penny discoteque, spent many a friday and saturday night there…alms houses, was that bedford street just off king street? hammonds music store at the start of lower high street…anyway, very interesting website…..
what a site. memories rekindled. early 60s cassi park helped lock the narrow boats through, coal & roses lime juice I think. swinging across the river gade on the willow trees. riding the miniature railway & other stuff. halcyon days. Hi I am just like to add I was born in kings street hospital which has long gone in 1955 and was brought up in charlock way on the Holywell est went to chater school till I was 11years old and yes we had to walk there in those days then I went to Victoria boys school. I now live in wimslow Cheshire but my heart will always be in Watford and I often think about the times I had there as a boy from caddying in moor park to working for old ginger on the paraffin rounds and helping me old dad on his milk round still have lots of family and friends still there .thanks Steve rush. Wonderful site , thankyou. I was born in 1948 at 129 Hagden Lane, and my grandparents lived in that house until the late ’70’s. I used to love to stand in the upstairs window of Nans house behind her dressing table , and wave at the drivers of the mighty Scammels as they set off for the oil fields of the Middle East from the factory in Tolpits lane . I then grew up a little to become one of the Rockers at the Busy Bee on the by-pass, I still have my old BSA out in the garage . Time moves on , but early life stays with us forever , Watford is in my blood althogh I am over 300 miles away now . For anyone reading or contributing to this very wonderful site, the Watford Observer has published its latest Watford in the 20th Century Volume 3 covering the years 1960-1979. It costs £12.99 plus postage, available from the Watford Observer and would make a lovely Christmas gift. Yet another very interesting and informative book. Most of us reflecting on the site may be getting into old age but the memory sure hasn’t gone. We were all so lucky to have lived in the area at that time, but never appreciated it fully . Enjoyed all the comments. Hi Christine, re your comment 10/10/2013, I notice you had an Aunt living in Copsewood Road, what a small world, I moved from the Kingswood estate to Copsewood road with mum dad and my sister in 1950. We lived at No 22, which was opposite the Railway houses in Copsewood Road. My Grandfather who worked for the Railway lived in one of them, and was one of the first to have electricity put in, in place of Gas Lights. You can hardly find a place to park there now as every space in front of the homes has a car parked . A few doors down from our home No 22 used to be the Railway Mission Hall, long gone now. At the bottom of Leavesden road on the corner was a shop that sold groceries, Skewins I think. Police station over the road, along with the pub called The Queens, The pub you mentioned Is The leviathan on the corner. opposite what was Skewins. The flea Pit was First call The Collisium, and then became The Plaza. I wonder if we knew your Aunt? Hi, does anyone remember a lady called Audrey Barry? To Phil How, Yes, I think you’re correct about the location of the railway cottages. They were definitely opposite Fishburns Printing Ink factory. I had an Aunt living in Copsewood Road, and I recall walking down the road to Leavesden Road, passing the old bus garage as I approached St. Albans Road. I recall the pub on the corner and the old ‘flea-pit’ cinema just up the road. I remember the railway cottages were close by in a cul-de-sac. I stand corrected if wrong. Wow..what an amazing page. I have read all the entries with a big smile on my face. I lived in Watford, 1965 – 1991. I was born in Barrow in Furness but at only a few months old my parents moved to Watford. The Saturday morning clubs at the Odeon Cinema, going up to the pond in town to the bakers who also owned a restaurant (black n white building) cannot remember its name, sorry. The Harlequin Centre being built and destroying the top of town and most of the bottom of it as well!! Wow Tony, even though I was born and bred on the Harebreaks Estate I had forgotton the coffee café, but memories have come flooding back. I too was a regular visitor to Flanagans Fair and remember coming home with a goldfish in a clear plastic bag. Now that was a real treat and it was great excitement when the fair was expected. Such happy days. With your recollections of the doodlebug, I wonder if it was the same one that chased my father along Radlett Road whilst he was riding home on his push bike from the airforce base he was stationed at! I think that doodlebug was the one that hit and demolished a lot of Sandringham Road. Hi, Christine. Sorry, I must’ve missed your earlier comment somehow. I’ve published it now. Thanks Christine for your reply and update on the Butcher boys. Now lets see if you remember that small coffee café, it looked like a shed on the field where each year Flanagans Fair came. Now that was worth going to, and great fun. A short distance from that area a bomb dropped during an air raid I think its target was Leavesden Aerodrome, it was a doodle bug. Thanks again for taking the time to keep my memories going. Hi Tony, I did write a reply to your comment prior to my last which wasn’t printed so this has made that reply rather obscure. In my original I did confirm that I was at Leggatts Way Girls School, but I didn’t know anyone called Austin, although she may have been in another year. I also offered my opinion on the youngest Butcher boys name. I also said that the late actor Terry Scott was a relative of the Butcher boys and based his Auntie character on Mrs. Butcher and her son ‘Knocker’ (Rowan) in his My Bruvver record. Thank you Christine, I do believe it was. I was in the same class as the younger boy of the Butcher family, I remember his mother coming in to the class room of Mr Anderson (Leggatts Boys) and having a right go at him for hitting her boy with a plimsoll. She had a head scarf on, and looked for all the world like Peggy Mount the film star. I can not remember his first name it might of been John Butcher? We just called him Butch. I also remember the 345 double decker bus went up and down the Harebreaks and the 346 went all the way to Kingswood estate. If you went to Leggatts Way Girls, do you remember a girl with the surname of Austin, she was always good at sports and running. Yes Tony I did go to Leggatts Way. I can’t recall a girl called Austin, but she might have been in a different year to me. I think the Butcher boy you’re referring to was known as ‘Bib’. His real name was Michael. All the Butcher boys had nicknames, but quite posh real Christian names. I lived opposite them and remember Mrs. Butcher very well. The famous Terry Scott was their relative and based his little boy sketch on Mrs. Butcher and one son Quentin aka ‘Knocker’ in his song ‘my bruvver’. I won’t repeat myself as I’ve already outlined some memories earlier in this very interesting and nostalgic forum. In hindsight Tony, I think I may be incorrect about the Butcher boy’s nicknames to their proper names. I think the younger one might still have been Michael, but his nickname was ‘Bunty’. I don’t want to upset any Butcher boys who might be reading this if I’m wrong. Names can escape me as the years progress. If I recall the elder one was Quentin (Tiny), next was Rowan (Knocker), then ‘Bib’, but I’ve forgotton his real name and finally Michael (Bunty). Sorry for any confusion. Hi Tony, I think the dance hall you are referring to in Clarendon Road might have been the Oakley Studios. I worked at Clements 1955 to 1958. I use to live on Colne Way by the bypass. My friend Susan Deschamps and I went to Watford Jazz Club I think it was on a Wednesday night. We use to dance trad jive. I emigrated to the US in 1964 and now live in New Zealand. Just seen your comment Dianna Rule/nee Ward I would suspect that you too used to go to the North Watford Odeon, and possibly your Doctors were Dr Woods surgery next to the Dome Roundabout Garage/ Bungalow Stores. When you were at Clements, Elliots was across from your store, they sold Records and Radios. Clements had Toys Hardware Electrical goods China and very nice figurines in the basement, that’s where Father Christmas also had his Grotto, up the steps to the ground floor was Perfumes Bedding Cases stationary, next floor was ladies coats etc, and the top floor was Furniture and Radios etc. Cawdells opposite Market street, near enough, was always trying to mimic Clements, that’s where the arcade entrance was to the market, on the other side of the Arcade was Timothy Whites. Do you remember the Star Ballroom Dance hall in the high street above the Green Man public house? Also Ballroom Dances at the Watford Town Hall. There was another in Clarendon Road but I have forgotten the name. My mate Malcolm and I used to knock about with the Americans from Bushey Hall, and we would go to there base and have a Schiltz? (beer) or two. We also had to change our sterling pounds into what they called script to spend on the base. I wonder if you went to the Chef Corner or The Mocha Bar, as Mal and I did when on leave. Most of the time we were in our Navy uniforms showing off as you do, and we loved going to the Pictures like the Gaumont and the Odeon, Regal and Empire within the High Street. All that has gone and our Watford is really no more as it was in the Fifties. A big super store called Asda is close to Colne Way, and the average price of a house in Colne Way is over £400.000. I was 16 in 1955, and used to live on the Kingswood Estate, I had a Girl friend who used to live in North Approach near the entrance to North Watford Cemetery. Well I do hope I have raised a few memories. I seem to remember the name of Susan Deschamps, but it was along while ago. Thank you for bringing joy to this old wrinkly. I was a babe born in 1938 in Watford, Mum and Dad raised me on the Kingswood Estate, Fernway, our garden had the North Watford Cemetery woods at the back. I went to Kingswood infants School and Miss Fowler and Miss Pooley were a couple of my teachers. Mr Burden was the Headmaster, Mr Truman was the school Caretaker, and lived in Briar Road his garden led into the school playground. Well folks I have only scratched the surface, as I may be so ancient that I have been forgotten. Oh yes, Leggatts Way Boys School, my teachers Mr Mitchel, Mr Casbon, Mr Ritchie, Mr Rolfe, and Mr Townsend. And as first years we got bumped and drowned under the tap in the playing fields. Must mention Cox’s sweet shop over the road from school, remember. The best times was the Girls sports days, you guessed it our noses were firmly pressed up on the windows of Mr Day’s Science room. Watford, the best town ever. To Colin Delve, reference working for Mr Wren in exchange road, were you also aware that Wrens before it moved to exchange road used to be nearly opposite Clarendon Road in Watford, across from John Colliers (the windows to watch.) on the left of the original Wrens was BUCKS CATERING. Well Colin you would have known my Aunt (Sally Rider) who went on to purchase the business from Mr Wren when she took over Wrens Sports and Leather goods in St Albans Road, Mr Wren became very ill and sold up. Your shop in Exchange Road still has the name of Wren House, and on the corner where you worked I am sure you would have gone into Elliots the Radio and Record shop to listen to some 78s and 45rpm in the booths provided. Those were the days, especially if you went down to Woolworths and parted with 2/6 for a 78rpm record sung as close as the proper artist as could be found, meaning a song that Frank Sinatra sung originally would cost more in Elliots, but Woolworths had copy artists hence they were cheaper to purchase. I also recall the weight of those 78s from Woollies Tarmac I think! This is such a wonderful site to read. I was born 1968 and don’t remember a lot about Watford so it’s lovely to read. I’m the youngest of 6 children and was the only one not born in Kingstreet Hospital. However my partner Brian smith was born in Kingstreet in 1951 and remembers most of the places mentioned on hear. I really am enjoying reading all of this. This is such a wonderful site to read. I was born 1968 and don’t remember a lot about watford so it’s lovely to read. I’m the youngest of 6 children and was the only one not born in kingstreet hospital . However my partner Brian smith was born in kingstreet in 1951 and remembers most of the places mentioned on hear. I really am enjoying reading all of this . It’s really fantastic that these stories have invoked such happy memories from so many different parts of the globe… my sister Jan went to a family wedding recently and one of her in-laws Ken Lowery who now lives in the US regularly visits this site and informed her that I was contributing in a small way to the continuing story lines… she knew nothing about the Watford site or my contributions! So to please her I will relate another short, pleasant memory I have of Cassiobury Park that I used to frequent with my two younger brothers in the late 50’s. It was a long walk from the Harebreaks to the park, but the two miles or so, was no problem in the school summer holidays. We always made for the Grand Union Canal and the busy lock right at the bottom of the park. 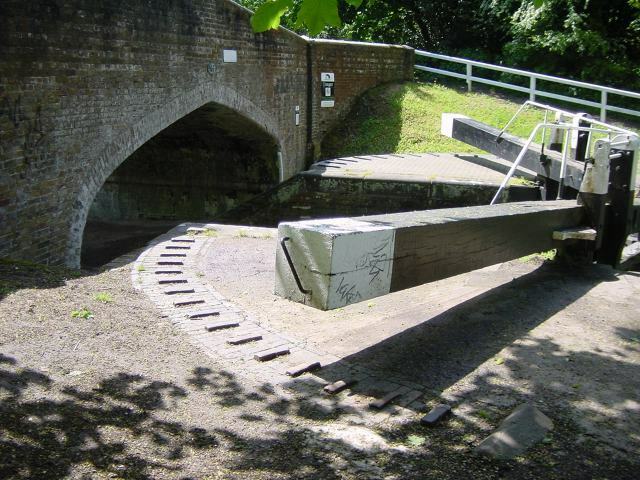 We would watch the narrow boats and barges slowly chugg their way along the length of the very picturesque Cassiobury section and if we were lucky get to help the “bargees” open and close the locks. All the more remarkable as none of us could swim! There were more working barges then, than pleasure craft, exactly the oposite today I understand. From there we used to cross the canal to the River Gade that ran off the main canal and under a lovely wooden bridge. Quite often we would climb a willow tree and watch the big fish stationed in the current, they were very good sized Chub and years later I tried to catch some there, but never succeeded. Then we would make our way to the paddling pool and have a bit of a slash about and some times I believe there was a miniature train running on tracks around the area. From there we would gradually amble to the small weir nearby, this was a great spot for a rest and if we had our home made “tiddler” nets made from mums old stockings, a bit of wire a bamboo cane and a jam jar we would try and catch Bullheads and Stone Loaches from under the sill of the weir, I must say I loved anything aquatic then and still do, fifty years later. We carried on down stream to the Water Cress beds, was it Voss’s that ran it? The water was pristine and the watercress so green, to my young palette very, very peppery…(our school dinner salads always had watercress in it too, must have been good for us). What a wonderful site, made me feel homesick. Lived in Croxley Green early 50s, then we moved to Watford Fields. Lovely place to live. Went to Watford Fields infants and ku ours, then to Victoria Girls school for 1 term only. We moved away, but Watford will always be home to me. What a wonderful site! I lived in Croxley Green between 1961-70 and my first job was on Saturdays at a cake shop in Market Street, Watford. I have been racking my head to remember it’s name and this morning I woke up with “Spurriers” coming to mind. My Google Search brought up this website and the comments have brought back so many memories. I used to do the family shopping for my mother on Saturdays for years and it was whilst doing it one Saturday that I discovered a sign in Spurriers window for a Saturday girl! In I went and I began the following Saturday (still did the family shopping in my lunch hour!) and continued on Saturdays and in the school holidays until I went off to Uni. There were other branches in the neighbourhood and I used to relieve at those as well, particularly in the school holidays – I particularly remember one in St Albans Road out past Watford Junction station, and Radlett (where Una Stubbs came in one day). I vividly remember the day of the World Cup – I was relieving at another store (?Bushey) and both the shop and the street were deserted all afternoon! The shop opened up a whole new lot of experiences for me! Everything had to be added up in your head as you went along, as the old pop-up cash registers did not do that for you. Some ladies (I cannot remember men asking me to do this!) would not trust my mental arithmetic and get me to repeat as a check! Thank you so much for this site – I will come back to it and read in more detail later. I have lived in Australia since 1980 but do return to the UK fairly regularly and hopefully one day will get the chance to visit Watford again. The plans for revamping the town centre were put forward whilst I was still at school and at the time the idea of fly-overs seemed very alien….. We had moved to Hertfordshire from Cornwall and at first I would call Trewins TREwins because that was how that name was pronounced in Cornwall. My mother would tell me that no-one would understand me if I persisted! Susan Long (nee Lambrick). Was the coffee shop with delicious smell mentioned by Kathleen Bennet the Kardoma? (No idea how you spell it). Denise, are you Victor Raysbrook daughter?? My mother was Majorie his sister. Just found this site! I have just found this wonderful page. It has bought back so many memories, I was born in King Street in 1954, Went to Northfield School and worked in Kardomahs when I was 16 as my saturday job. My dad had a garage next to the High Street Station which sold Lotus cars. It now has the road going through it. I lived backing on to cassiobury park. They were great days! The gates were still there then. Hi all, What a nostalgic forum this is for all of us “Watfordians” from decades past, no matter where we live now ( me in South Australia) I’m sure our thoughts often wander back in time to our childhood days in what was then a very different town. I used to work as a schoolboy at the Watford Central Market at Toy Gurney’s fruit and veg stall opposite the Cawdells side entrance. Under cover we may have been but the snow and rain still found somewhere to get in. My Saturday began around 7am and I was normally busy sorting out the sprouts, spuds and deleafing caulies, these were sometimes covered in snow and my fingers used to be so cold. My mum made me sit in front of the fire after my bicycle journey home in the dark and my fingers used to thaw out too quick and ached…. chillblains? For breakfast at the market Tony used to give me half a crown on top of my one pound wages to get a good breakfast, the little take away stall near the back exit/entrance was my favourite venue and I always had an omlette sarnie with brown sauce and a mug of hot tea to start the day. At lunchtime I was tasked with taking the empty banana boxes down the hill to Ffyths Banana depot, on one of the markets two wheeler carts. On the way back I had sit-down, fish and chips at the little shop opposite Ffyths, which were absolutely delicious. Sometimes in the school holidays I went to Covent Garden Market in Mr Gurneys old blue “Commer” van in the early hours of the morning to buy the stock for the week, it seemed such a long journey there and back and I was pretty tired for the rest of the day. Does anyone remember Tony’s dad, he always wore a straw boater at the Watford football matches, he would climb up a pole and try and get bets on the score. I think he was a bit of a character and didn’t mind a drink? When I left the market I joined the staff at North Watford Sainsbury’s, this was pre super market times and I learnt so much about all the different products…. another story maybe. Hi there so glad to see people talking about the town I grew up in and loved, I was chatting with an old friend the other day and we tried to name all the old shops from the tackle carrier to the veralum arms, we did really well I thought, then someone mentioned wyals shoe shop, I really can’t picture it, I remembered curtis’s by the army and navy shop but not wyals, can anyone help jog my memory? Have just discovered your amazing nostalgic catalogue of recognisable memories of Watford. My sister and I were reminiscing this very afternoon about our family shopping trips to Watford as children in the early ’60s – a bus ride on the 142 or 158 bus from Bushey Heath with an inevitable snarl-up at Bushey Arches! One of our treats was to go to the Odeon restaurant where we were greeted like royalty and shown to our table by a matronly lady, immaculately outfitted in black who was the Manager. Having taken our order, she would then allocate a waitress to take care of serving our meal and she would also be immaculately turned out in the classic black outfit with frilly white apron and hair adornment. The highlight of the meal was the arrival of the sumptuous dessert selection which was wheeled to the table on a positively groaning carved wooden trolley which had 2 decks – how to choose! Black Forest Gateau usually won the day, topped with a scoop of vanilla ice cream. Rarely did we then proceed through to the cinema, but used to watch enviously as other diners would then continue their evening’s entertainment. I remember alongside Wrens in Exchange Rd there was another similar style restaurant, but just cannot remember the name – any clues? Gills gents outfitter, up by the pond, was where father went approx once every 5 years to get himself kitted out with quality clothing, observed by my mother, sisters and I who witnessed a level of service second to none. Mum used to do a similar shopping trip for herself at Claridges where she was served by very attentive members of staff – one in particular called Miss Bristow. For special occasions, my 2 sisters and myself were treated to dresses purchased from a childrens outfitter, close to the pond, whose name escapes me. It was so disappointing to see that shop disappear, but I think the competition became too much. Many thanks for the email thread – it makes fascinating reading. I lived in Watford from birth 1965 to 1989 and grew up in Garston. I worked at Cheap Jacks Jeans, Wyles Shoes (in St Albans Road), Norwest Holst (in Clarendon Road), British Telecom in the huge building at the back of the jewellers with the alley next to it and also at the social services house in Queens road. I remember eating at the Kardomar and the golden egg. The high street was the place to be.. How about chelsea girl for clothes? Very fond memories and i now live in the Midlands but came back last year for a look around but absolutely not the same place it was. Great memories. In reply to Anthony McKay (20/11/10) regarding Cassiobury Park in the 60s, the footage and photos doesn’t look like the Park to me. It didn’t have swings and roundabout like that. There were slides and swings, but next to the paddling pool by the river. So, not convinced. A really interesting read. I am the great great granddaughter of “granny” Clara Duce, who ran the chip shop at 142 lower high st, as well as other shops in Watford. I visited last year, was delighted to find the shop in vicarage road now sells motorbikes (still selling grease in one form or another!) Any Memories please feel free to contact me. Anthony McKay querie about park in Avengers. I am almost sure it is Bushey and Oxhey park. Wiggenhall road/ Eastbury Avenue. I spent many happy days there in my childhood and climbed the large tree seen in park, also I took my own sons there when they were children and they also climbed the tree. I have really enjoyed reading everyone’s memories and will add some of my own soon. Anthony McKay querie about park in Avengers. I am almost sure it is Bushey and Oxhey park. Wiggenhall road/ Eastbury Avenue. I spent many happy days there in my childhood and climbed the large tree seen in park, also I took my own sons there when they were children and they also climbed the tree. I have really enjoyed reading everyone’s memmories and will add some of my own soon. Sorry I must make corrections to my earlier post, written in haste. Oxhey Park. Eastbury Road/ Deacons Hill. If you look on google map you will get an idea of the layout, the path that runs through the park is where the cars are in the photos and film clip, and just through the trees are the swings ect. A wonderful site. Does anybody remember the College of Further Education at the top of Queens Road. The Principal was Mr Elliott (I think) but there was Polish lecturer we used to call ‘Soz’. He was ex wartime RAF pilot. Great memories,in my teens I used to work in Wrens, the sports and leather shop in exchange road,this was just as the flyover reached ground level.In the mid 60’s Wrens bought out Watford Baby World which took over half of the ground floor. There was a bank before Wrens then a bakers, a constant source of temptation. Great Memories, I remember Garston Youth Club had a band on Friday nights, Saturdays were Kingham Hall (Rockers) with the Mods using another Place, (the name escapes me at the moment) then on Sundays The Odd-fellows Hall. I am sure that The Rolling Stones were at the “Gaumont” which became the Odeon (or vis versa). There were plenty of cinemas “Odeon”, “Gaumont”, “Palace”, “Essoldo” and “Empire”. I worked at W.Wren & Sons in Exchange road from when I was 12 (after School) until I was 18. Great memories, I worked at Wrens, in Exchange rd. Throughout my teen years, I remember it taking over Watford Baby World and moving it to take half the ground floor. On Fridays there were live bands at the Garston youth club, Saturday was Kingham Hall (For the rockers) I can’t remember the name of the other one the Mods used, at half-time the pubs were just across the road from each other, cannot remember any trouble though. On Sundays there was the OddFellows Hall. We also had plenty of cinemas with the Odeon, Gaumont (sure the Stones played here 63 / 64), Carlton, Essoldo and Empire. What wonderful memories of Watford. My first job after leaving school in 1956 was for an insurance agency called F.H.Haines in Clarendon Road across from the theatre, then later at Meltonian Wrens (The Cobra) down off water later, some friends and I used to walk to the High Street on our lunch hour to the movie house on King Street to listen to records and dance, then we would go back to work. I too remember the smell of roasting coffee wafting from the coffee shop in the high street. This is such a wonderful site it brings back so many lovely memories, I still have some family in surrounding areas, Sarratt and Hemel. I have lived in the states since 1960 but have been back many times over the years and have seen the sad changes to Watford High Street, so I am so grateful to all the people who have contributed to this site, keep up the good work. Wow, I am so happy to read all the memories. I was born in Garston in 1953 and loved my town. Shopping on a saturday was a must with your pocket money. I had my ears pierced with a cork and pin at the jewellers opposite the post office and went home on the 321 bus looking at them in the windows of the bus. I went to top rank to see Love Affair where they gave away free perfume, I was wearing my grandmothers ring which was too big for me and I had paper in the back to make it fit, after dancing and screaming it was gone and I often wondered who had picked it up, it had a black pearl in the middle. Later I worked at clements and remember the owners son who used to come to the shop, often coming in to the boutique called Shop67 and gave me perfume and asked me out on a date. My uncle used to play for Benskins Football team, he had a heart attack on the pitch and died whilst playing, it was headlines in the Observer. My husband used to wok for Charlie on the clothes stall in the market and i remember him coming home with a two tone suit and check shirts with the button down collars. My first record was bought on the market, cheaper than the record shop. If you close your eyes and sniff you can smell all the aromas: Woolworths wood floors and the biscuit counter with all the tins arranged at an angle and at the end a large pile of mixed broken assortments, the Wimpy bar with the tomatoe squeezy dipensers and frothy coffee. The busses with the conductors who sometimes gave you a half used roll of tickets, we lived by the garage so we had a good supply. I used to go to north Watford library on the bus from Garston 2d and the aroma in the library where you could get 4 books. The swimming baths on a friday with school and the hot oxo drink after. When i was small i used to go with my mum to the oddfellows hall and the Trade Union Hall for her to play bingo. I would collect the tea cups and wash up. Hetty who run the bingo gave me money for this on which i treated my pals to oxo and crisps after swimming. Later I worked at Orphanage Road Ministry of Labour and before that at Chas Brightmans the builders merchants, just up the road. This could go on and on and on but I will finish and look forward to reading more and more and maybe hearing from old pals, one in particular a girl I worked with at M of L,???? Grillo her dad had the ice cream firm, she drew on my hand and done intricate drawings on napkins for my engagement and wedding. Many thanks for an enjoyable afternoon’s reading. Great memories of Watford it has made me somewhat home sick. R.W. Evans must have been at Vics when I was there however I do not remember you. 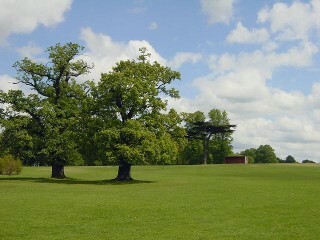 Your fantastic photos of Cassiobury Park are terrific. 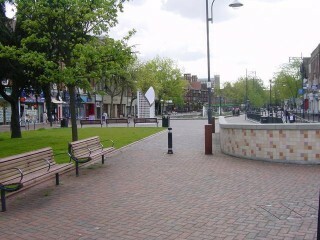 I visited the park in 2006 and saw all the improvements of the childrens play area. As I am disabled to walk the length of the park is now beyond me. The coffee shop in the High Street? Might it be the Kardomah Cafe, which if I remember correctly was just down from Clements before the road to the Palace Theatre. I too miss the old Watford. I lived in Hagden Lane, then on the Cassiobury Estate. I went to the Boys’ Grammar after Cassiobury Jr School. My folks still live there, but to me the place is ruined by a succession of weak Council leadership. I see the same happening in Aylesbury and High Wycombe as well – the local planning authorities need sacking! Bring back our lovely market towns instead of trying to turn them into down-market glitzy shopping mall nightmares – yuk! Hi, I was born in Watford at King Street. I remember the smell of the Coffee Shop, as I used to work in the hairdressers on top of the Coffee Shop every saturday as a saturday girl. Which I loved. I have been living in Australia for over 40 years now, but Watford and England are still my home. I can remember so well going to TOP RANK of a saturday morning, meeting all my school friends there from Francis Coombe Seconday School. I loved going to the markets, they were behind British Home Stores, and Marks and Spencers.Woolworths was across the street, with the shop assistants standing behind counters, and the wooden floors.Also the wonderful Christmas ride to see Father Christmas at Cawdells and Clememts, it all seemed so MAGICAL to me at 8 years old. So many fabulous memories, growing up in Watford in the 60’s. Such wonderful memories of Watford I remember Mrs Beckett the Bakers, she had a huge cat that would sit in the window of the shop. Also the Watford steam laundry shop on the corner of Farraline Road. And Southwoods the Greengrocers along with Duce the Fish & Chip shop in Vicarage Road and also the wet fish shop opposite the Cemetry. Christine 🙂 It’s astonishing and sad how easy it is to lose connection with your beginning, so I’m thrilled to get any news of Watford. I want you to know how much I value and enjoy your remarkable memory. (Loved your tale of ‘Knocker’ and the back stage visit.) I recall playing in the “rec” at the top of the Harebreaks, the wooden seat on that big old roundabout and the creaking sound of the swings , collecting beechnuts to eat and acorn cups to decorate. I remember the carnivals in Cassiobury Park and the walks along the canal up to the Watermill House…so beautiful. My brother, Michael, went to Leggatts Way secondary school. I went to WGGS then St. Albans Art School and eventually became an art teacher in the high schools in North Vancouver. I emigrated to Vancouver in 1967 and returned to visit only once, in 1982, but my mother had moved away from Middle Way. I miss you all. Julie Holbrow – Hello, How nice that you remember me after all these years, especially as you live so far away in Vancouver. It just goes to show what an excellent article this has turned into with so many people contributing their memories of Watford. I too remember the Butcher boys from Middle Way, with their nicknames. There was Tiny (Quentin), Knocker (Vivian), Bunty (I think was Michael) and Bib, but I can’t recall his real name. They had a dog called Paddy who scared me to death everytime I saw roaming about the street. Their cousin was the late comedy actor Terry Scott (Owen), who was born in Watford. When I was 15 ‘Knocker’ invited me to the Whitehall Theatre in London to see Terry Scott, Brian Rix, Elspeth Gray and Hugh Lloyd in the Whitehall Farce ‘One for the Pot’. We met up with the stars after the show which was a real treat. I seem to recall Terry Scott based the song ‘My Brother’ on his cousin ‘Knocker’. Living on the Harebeaks estate I recall spending time as a child playing in the ‘rec’ at the top of The Harebreaks, having fun on the swings, round-a-bout, climbing frame and sea-saw. The old air raid shelters which we were forbidden to venture near, but always did. I used to cut through the ‘rec’ to and from Leggatts Way School. Then there was the Watford Carnival which everyone looked forward to. The beautifully decorated floats would all congregate up The Harebreaks. So much hard work and effort into making this day a special day for everyone. With bands playing, they would make their way up St. Albans Road towards Rickmansworth Road and Cassiobury Park where a funfare drew massive crowds and so much fun was had by all. We used to walk all the way there and all the way back. No thought of transport ever entered our heads in those days. Happy days. My thanks also to all those making contributions which is a joy to read. Christine Partridge – How wonderful to read your posting! You triggered so many flashbacks… I’m Julia Holbrow (now in Vancouver B.C.) I lived between the Smith family and the Davis family and I remember the fair haired Halwards and all the Butcher boys who had nicknames beginning with “B”. I remember the horse and cart salesman slowly making his way along the street selling his produce and the avid gardeners racing to collect the horse’s droppings .. the street games , the box-carts..the prolonged snow battles with the “Thrums” kids.. The 346 bus travelling along the Harebreaks road was as welcome a sight as a favourite family member. Hi, everyone. Just a reminder that it’s really easy to add your own pages, including any old photos you might have, to the Watford Junction site. For example, R W Evans has just added a great page about Cassiobury Park over the weekend. There’s some more info on how to do that here. I would like to hear from anyone who remembers the music venues in Watford in the 60s, my first bands were at the Holywell Comunity Centre local bands playing rock n roll, Kingham Hall used to have a lot of local bands one l remember was a ryth’m & blues band called the Cops & Robbers the lead singer named Smudge sang great Howlin’ Wolf blues like Smokestack Lightnin’. l saw the Small Faces on one xmas eve, ten shillings to get in they came very late played for half an hour and left but they were great especially Steve Marriot. Another small hall hosting local and some out of town bands was the Oddfellows hall l saw the Pretty Things there but they didn’t go down too well, too heavy for the local mods. The Trade Union Hall was our biggest venue run by Joe Seabrook who became a very good friend of mine in later years and became personal bodyguard to Keith Richards in the late 70s until he died in March 2000. The Trade was host to many great names including The Birds, Ronnie Wood, The Herd, Peter Frampton, The Move, Roy Wood, John Mayall’s Bluesbreakers, Eric Clapton, The Who, The Yardbirds, Jimmy Page, The Creation, The Action, Four plus One, Long John Baldry, Rod ‘the mod’ Stewart, Brian Auger Trinity, Julie Driscoll, Graham Bond Organisation, The Artwoods lead by Artie Wood Ron’s brother, and many more including some of the old Chicago Bluesmen who came over to tour Europe. There were also many pubs who had live music from local bands but the Top Rank opened, end of all the local venues R.I.P. This a brilliant page for any Watfordian to browse and reminice. Now 62, having so many vivid memories of our family town but unable to converse with the family now as most passed on, I get a ‘well being’ feeling reading all the comments. I thank all the contributers for their fascinating memories. Born in Essex Road, was a former pupil of Chater, Callowland,Bushey Meads and Langleybury schools and a choir boy at St. Michaels before the voice breaking. I moved to Bedford where houses were SO cheap in the late sixties but commuted to Watford by rail for the next few years before eventually moving to Cornwall for good in 1987. So pleased to note Viviens comment about Gibson’s pork sausages still available, never tasted anything like them since, must go back for more one day. Mrs Tucker on her little market stall just selling mushrooms, putting them in your bag after weighing with her saucer (that’s all she sold). Top rank with Caters underneath was my second home, loved that place. The Trade union Hall around 1965/6 was the place to be on a Sat night, whizzing around outside on my Vespa, fox tails flapping behind, The Who’s music causing temporary deafness for the next few hours, some decibels they belted out. My Grandparents were the publicans of ‘The Cricketers Arms’ on Watford Fields only selling Benskins ales, no spirit licence, while my Great great grandad on my fathers side was the head park keeper in Cassiobury and planted the long (Beech?) aisle alongside the main path from the entrance to the cafe. So many hours I spent in that park and in the woods with their watercress beds being of great interest to a young lad. Probably where I got my lifelong interest in horticulture from that man and now run the second biggest allotment site in Cornwall on the NT property called Lanhydrock. I am proud to call myself a Watfordian and isn’t the internet a marvellous tool when I can still read the Watford Observer without leaving my allotment shed? Keep posting your highly interesting thoughts and memories good people, they are so enjoyed by many. Hey Eddie O’Connor, how could l forget many a great night spinning records with this great DJ when l lived in Watford playing the clubs and pubs as Mikky Dean spinnin’ records at the New Penny, Top Rank, My Place, Bailey’s, City Hall, and many more gigs. Now singing in a rock’n’roll band in France but still fond memories of Watford in the 60s. Rambling reminiscences (in no particular order) of a fifty-something… I was searching for anything to do with the “Importers” shop in lower High Street and up popped this site. What a treasure! I was born in ’58 at Stanborough Park and lived in Bushey and Watford until 1996. Although it took a ride on the 301 to get into town it seemed closer than Bushey high street as that was walking only. As soon as I was old enough to ride the bus alone, Watford was the place to go. As a child, shopping in the town was a Saturday affair and was as regular and guaranteed as going to church the following morning. “One and two halves to high street station” was the invocation –forever in my mind’s ear- that bore us to a fascinating sprawl of shops and stalls providing everything for everyone. The exhaust from the coffee shop was at head height to a little ‘un and issued from the vent at quite a rate. I used to take a deep breath as we approached and brace myself for the hot blast to come whilst mum would comment on how pleasant the aroma was. Mac fisheries, opposite the co-op. Two shop fronts; one for fish and I think the other was the delicatessen. Brightly lit but always cold and damp, black and white ceramic tiles everywhere and a fascinating knockout between the two premises that continued the tiling through from one side to the fishy side where the odours were just too much for a little pair of nostrils. Fantos had a mention somewhere. Needless to say, the only section that existed for me was the toy department. Restrained within an alcove for eleven months of the year, it burst out on to the entire width of the front end of the first floor during December in a time when Christmas didn’t start until the twelfth month. Cawdell’s: I remember the Santa ride with great fondness. Jeremy, the term “groddled about” to describe its motion is absolutely brilliant, although at the time it was far too magical an experience for such harsh terms! It certainly transported me. I guess it must have been constructed by the shop’s handymen –when such labour existed. Watford junction, twelve platforms, was it? Hissing of the hydraulic lifts; mysterious things to a young ‘un. The Bridle Path, many memories there. At the top end there was a semi detached house, the right hand one was a cafe for as long as I had known it. The left hand one, from C1972 until C1985 was my dad’s plastic moulding factory! Many hours spent watching the trains from the upstairs bay window. All gone now. Remember the Orange Hand shop at the high street end of Queens Road in the early seventies? A kind of post-hippie cool clothing store. I picked up some really wacky stuff there. Flares and 4” platforms; what was I thinking?? Timothy Whites (I said in no particular order) was the first shop in town to have an escalator. My favourite escalator was the one in Clement’s. If I’d been good, I was allowed to travel up it three times during Saturday shopping, returning via the back stairs. Three times was the limit I was told, lest my activity attract the attention of the comissionaire, an upright, pinstriped-suited gentleman with swept-back grey hair and a prominent moustach, who as far as I could tell was never seen without a white carnation in his lapel. There was a quaint shop on Queens Road, more or less opposite the Radlett Road junction, called Avondales. A tiny but somehow vastly stocked emporium of electrical junk. Perfect for a pocket-money based self education into all things electrical. Mickey Mouse’s Bungalow, anyone? Demolished in C1973, it was a low, concrete shelter-like building next to the library, behind where the bandstand is now sited. It was a sub station from a time when Watford had its own electricity supply (Cardiff Road power station) for street lighting and municipal buildings. My friend’s mum worked at Clement’s and passed there on her way home for lunch. Knowing our passion for electrical junk, she enquired about the equipment being discarded and subsequently ferried loads of it on her shopping trolley (I have no idea how) to their house on Hempstead Road for us to play with. Some really antique –and huge- stuff! Carey Place, now a strange pastiche of its former self. When I first saw the blocked up version I wanted to close my eyes and keep on walking through the wall at the end. Where the old covered market started, outside the side entrance to Cawdell’s, and again at the back end of the arcade by the cafe on the corner (cheese sandwiches and orange juice; yum), there were two beautiful semi-circular mosaics set into the vaulted ceiling, with the words “Market Arcade” set out around the radius. Sometime in the eighties I was taking photographs from the top of Charter Place car park and happened to look down into a walled-off dead space at the rear of the spiral ramp. Although barely visible through the wooden slats that bound them (someone must have received an order to set them aside) there were the two mosaics, still mounted on a foot or more of semi-circular masonry; one propped against the wall, the other fallen onto its face. By that time they were in a poor way. I made many calls to the town hall and museum in an attempt to have them rescued but as far as I know they never saw the light of day again. So sad. Dad worked at the Town Hall in the early sixties. He and his mates mounted the coat of arms that adorns the balustrade. Idyllic childhood vignette: Early Saturday morning, a little boy in shorts riding high atop a bouncing pile of deckchairs as dad pulls them along on a four wheeled handcart from the town hall stores, along Rickmansworth Road, through the archway and down to the bandstand to set them out for the afternoon’s performance. Yes, so many things have gone, but never the memories and mysteries that accompany a child growing up with access to such a place. What a great site, my memories of Watford are during the years 1971-9182 when I was working at Waltham Electronics in Queens Road, in the old banana warehouse – I note this building is now flats! (we had relocated to Watford from Edgware) We were opposite the horse trough and I remember one day a member of staff called the fire brigade as the house opposite was on fire – the firefighter had to take the woman out of the bedroom window and she had been in bed with no clothes on! We did laught but she did get out safe and sound. I remember a sandwich shop just up the road going toward the station where we would often get bacon butties. All the memories came back, going to Top Rank or Baileys as it had become, shopping in the market and Clements and also Tewins of course. Watford is a very different place these days but these posts bring back happy memories. Fantastic memories! My wife and I -35 years this month-walked upfrom the ‘Junction’ passed Seapride fish bar towards the church with bells ringing when we went to the ‘Rank’ with our free Tuesday tickets from the Echo newspaper. passed Barrington’s tailors and the new boutiques towards Timothy Whites, then to the Tonibell coffee shop Bricks Mans shop, where I had a Saturday job, Freeman Hardy and Willis , where my wife worked Saturdays..towards Ashby’s boutique, Ronald Coles mans shop, Gerald Clive mans shop…then to the Rank. In Queens Road we left behing ‘My Place’ but stopped after the Odeon to check out Motown’s latest at the Harlequin record store, mamaged by Paul who is now in Spalding as a local churchman. Geno Washington, Them with Van Morrison, McCoys, etc all at the Rank….Those were the days….In Beechen Grove was Kingham Hall whwre I used to run dances with FA BONE and BITTERSWEET with light shows. Bill was the drummer in the latter-a colleague from Bricks -where is he now?! One Way Club was futher down near Gladstone Road and was for the ‘Bikers’! Just an amendment to my previous article. I think Mrs. Beckett’s bakery shop was on the corner of Fearnely Street, not Farraline Road as stated, which was further down Vicarage Road. Time plays games with memories but it’s so nice to recall such happy times. Wish we could say that about today. Keep the memories flooding it. Wonderful. Thank you for bringing back so many wonderful memories of times gone by in Watford. I can recall everything you have all said and wish those days had never passed. Like many, I was born in King Street Maternity Hospital in 1944. My Grandfather owned and ran the Gents Barbers, G. H. Sharman & Son, at 99, Vicarage Road, near the Cemetery. This was in the family for over 150 years. His first premises was on the corner of King Street. The family originated from Long Buckby in Kettering. Mr. & Mrs. Percy Wells owned the newsagents nearby where my mother did cleaning. Mrs. Beckett had a lovely bakers shop on the corner of Farraline Road and as a child I used to venture in with caution and stand at the top of some steep steps leading to where the bread was baked, but I was always warned never to go down there. A Gibson’s butchers was on the other corner. Although trained as a barber, my father decided, at the age of 14 to take a job at W. H. Lavers, Timber Merchants in Merton Road where he worked until he retired. We lived on the Harebreaks Estate in Middle Way. I remember the immediate families from the Halward’s, Butcher, Jefferies, Violet, Culverhouse, Wright, Needle, Bunnage, Frost, Atkins, Holbrow. I went to Alexandra Infants School, Parkgate Junior and Leggatts Way Secondary Modern. On leaving I was told by the school I would have to work at Yeatmans sweet factory in Cherry Tree Road, later owned by Mothercare, but my mother hoped for more, sending me to the Commercial College in St. Albans Road, North Watford near Haynes Pram Shop and close to Bushey Mill Lane, where I learnt shorthand/typing. Mr. Haynes also had a cycle shop on the opposite side of the road near Longspring. The council offices were at the bottom of Beechwood Rise with Dodds hardware shop, an alladins cave nearby. I used to take my sledge with wheels on to get a gallon can of paraffin filled then drag it home. Underhills was the newsagent where I’d buy a packet of Smiths crisps with the little blue bag of salt for tuppence and take it to the Odeon Cinema nearby for Saturday morning ‘flicks’ costing sixpence to get in. I’d crush my crisps to tiny pieces to make them go further. Threshers off-licence was further up the road with a bank on the corner. On leaving school I worked as a junior for the Hertford Handbag Company in Sutton Road. Blowers Ink Company were located on the ground floor. I then joined the Watford Observer working at the offices in the High Street and took a Saturday job at Finlays tobacconists opposite. I didn’t last long there, I was useless at figures. Does anyone recall the legend of The Fig Tree in St. Mary’ Churchyard, I remember that well. It was then on to Odhams the printing giant in North Watford until it closed in 1983. North Watford holds a lot of memories for me as my maternal family originated in Parker Street, off Leavesden Road. Callowland Girls School at the bottom of Leavesden Road and the boys school further up on the left. Redrups butchers, Girlings Bakers, Mrs. Finch’s grocery shop where mum would buy a quarter of butter a week with her rashion coupons and the broken biscuits were a joy. Froomes, another grocers, Mr. Christie’s chemist where he made up all sorts of potions, a real chemist. I still have a bottle of his made up linament which is just a keepsake. Mrs. Rumsby’s hairdressers with the gents downstairs and ladies upstairs. Gregoes fish and chip shop and greengrocers and Albans greengrocers and a cycle shop nearby where I bought my racing bike. So many memories. There was a pet shop near Christ Church in St. Albans Road, the Co-op shoe shop one side and general homeware store on the other where customers paid for their goods and the assistant would put the money into a circular canister, push it into a fitment above her and it whizzed off the what appeared to me as a child, a box suspended in the sky. Someone up there used to take the money, then send the change winging down. I was fascinated. The Co-op also had a dentist, and foodshop and naturally a Gibsons where we’d buy a pound of eights sausages, a Kinghams further up and not forgetting Spurriers bakers, Timothy, Whites and Taylors and Woolworths. I could go on. My mum and dad had Clarks newsagents in Queens Road. I got married in 1964 at St Mary’s Church on 30th march, one of my bridesmaids was Mary who was a daughter from a catholic family. I married Rodney Parkinson and went to Australia. Would be good to catch up with old friends. Bob and Hillary had a dog called Kennedy I think, Bob died early from cancer. Best wishes to catch up. What a wonderful website! I have best remembering of Watford. In the years 1963, 1964 and 1965 I have play football with my youth team VfB 08 Lünen. We was guest of the players from the North Watford Football Club. The manager was Charlie Pinnington. My english friends are in this time are Kevin Stratford, Mick Harman, Dave Charlwood, Paul Saviner, George Gaiscoigne, Long John and many other players. Wonderful friends. Now, 47 years later (I am now 63 years of age) I remember this very nice time. We was every day in the town. From the Town Hall to the Pond. Watching the wonderful Watford-girls… Have a coffee in the shop right from the Top Rank. .. And the Top Rank. We never saw a Dance pub like the Top Rank. Music we never heard in Germany. We have much fun there and have contact with many young Watford boys and girls. The wonderful shops in the town. Clements, Marks & Spencer, Woolworth – and the Market. A fooballer from the Watford team was there and sell fruits. Later on he was milkman. And the pub Green Man. We come with perhaps 8 boys in the pub for a drink. We have a nice morning. We was hungry and the Barkeeper give us sandwiches – free!! Watford High Street was for us young peoples like a film, watching watching watching. I remember the little clubhouse from the football club in Garston. 1963. I stay in a family home in Garston, The Brouw. A nice family, Jones, live in 105 Newhouse Crescent. Some nice hours we have there. After my football time I was some times in Watford. The last time was 2008. My good old friend Kevin Stratford died. But it is not the Watford I know from the sixtees.The big roads in the town center. All nice shops are gone. The Harlequin…. I live in The Harebreaks and in Bushy in the house of Mick Harmans parents. If somebody remember us and me from the VfB 08 Lünen please give me a message. Well, yes, Queens Road Music. There was a guy there, a drummer, who had worked the cruise ships and told us younger musicians all sorts about the music scene. He must have acted as a DJ at some point and gave me a whole box of pre-release singles which I still have! As a member of an average band, we used these to fill our repetoire, although most of our gigs were in the youth clubs of Hemel. As far as the Trade was concerned, we used to have a couple of shandies at a pub on the corner of St, Johns Road and head off to the music. It was usually 2/6 to see a decent band like Cliff Bennet or Spencer Davis. Otherwise, they dropped it to two bob and we got the Who, Friday, Saturday and Sunday as I remember. What I do remember is having to sit very close to the front of class on a Monday morning, as I couldn’t hear much at all! Thanks for you memories, Mike – are the photos on this webpage anything like the playground at Cassiobury as you remember it, or is it not Cassiobury at all? I moved to Watford in 1966 and lived there until 1988. I have lots of fond memories of it. Unfortunately it is now not a patch on what it was. However, Cassiobury Park and the canal are always worth a visit. I spent most of my youth in those areas and it always stirs up memories whenever I visit. If anyone out there played in Cassiobury Park in the mid to late 60’s could they please visit this page…and let me know if the photographs featured here are indeed Cassiobury Park – it would be much appreciated. What an interesting page, thank you. I was born in King Street maternity hospital in 1950 and have fond memories of Watford n the 50’s and 60’s. I remember draughty Watford market, and in particular the fish stall which stood on a really cold corner. Mum would buy winkles, muscles, cockles or shrimps and we would take them home for Saturday night tea. And of course, we couldn’t leave the market without our Gibsons sausages! I remember Cawdells too, which seemed like a somewhat poor relation of Clements then. In those days British Home Stores used to sell wonderful cheese from their food counter near the front of the shop and Marks and Spencer had assistants behind every counter. Can anybody remember the name of the bakery opposite Fine Fair at the then ‘posh’ top end of the town? I used to work opposite in shop in an insurance office. The first time I went into Top Rank (fibbing about my age) I was absolutely gobsmacked how luxurious it was – and that was only the ladies powder room (honest). We had never seen anything like it because up till then the only dances we had been to had been in somewhat grotty halls – the Trade, Kingham Hall, Hillside, Woodside etc. But they were great nights out with real bands, something we lost with the advent of discos. I was a mod in the sixties and every Saturday (via the 318 or 347 bus) it was important to get the very latest clothes (seen on Ready Steady Go the night before), to go out in. Martin Fords was my favourite, as it was the only shop I could afford to buy clothes in! Then of course, you had to stand about in the High Street, trying to look cool but hoping desperately everybody was looking at you! Once your boyfriend had a car, it was off to Old Redding for a snog and steamy windows! I think the rot set in when they knocked down the Park Gates, it was like a disease really, they just kept pulling things down until they had ripped out any semblance of character in Watford, now most of the shops are the same as can be seen in any other town, except good old Jacksons the jewellers. Happy days. What was the wonderful shop (near the One Bell) which sold fresh ground coffee and you couldn’t miss the aroma as you walked past? I think it was Importers? Just like Jeremy Prior I too love nostalgia and am so pleased I stumbled across this website. I was born in Bushey (Bushey Hall Road in a house next to Watford Technical High School) in the 1960s and moved several times in Watford. My childhood was mainly spent at 99 Queens Road, Watford and I remember walking with my mum up Queens Road to the High Street. In Queens Road, right at the start of the shops, you had the Corner Shop which was run by Bert and his assistant Nancy. Bert also ran a dolls hospital here and I often took my dolls to him to be repaired though was rather upset when he changed the colour of one of my dolls eyes from blue to brown because he didn’t have any brown eyes in stock! I must have been around 5 then. Just across the road you had Clarks, run by Mr and Mrs Clark. This was a Tobacconists/sweet shop and you could buy loose tobacco that Mr Clark would weigh on his scales. The Victoria Tavern was just before Clarks. There was a launderette next to what must have been the first Indian general stores. I hated the smell of the spices as a child going past that shop and would run past it holding my nose and breath! There was a coblers opposite run by Mr Malone who walked with a very pronounced limp – his wife Mary worked in the launderette. The there was Carrs second hand shop, Symbols, Dunns Wallpaper and my very favourite shop of all, Ivor Newman’s pet shop. He moved his shop from one side of the road to the other. He always had puppies for sale in the front window and I loved going in there and picking them up for a cuddle! He also had a talking parrot that I had the most extraordinary conversations with. I can just about remember the Congregational Church on the corner being knocked down, where Allied Carpets were sited. Grevilles Photographers were on the opposite corner and a Dairy Shop opposite that with a lady serving with white hair in a bun and always wearing a pinafore. Trewins, a charity shop, a toy shop and then, turning left into Lower High Street was my favourite, Fantos. I loved this old shop with wooden floors and would make a bee-line for the toy department upstairs. I’m pretty sure that Boots was on the corner. At the top end of town I loved the chips from Sea Pride fish and chip shop, next to Peter Spiveys. Clements was a favourite especially at Christmas when they had a fake train ride for the children to see Father Christmas. I really felt we were on a long journey and then saw Father Christmas in his own ‘home’, wow! I’d sit on Father Christmas’s lap and tell him everything I wanted for Christmas and go home with my present and a competion entry form which was a picture you had to colour in and put your age on. Loved Cawdells, which had two entrances, one at the front and one in the side opposite the market. A little tobacconists opposite was where my dad used to buy his pipes. Christmas pantos at the Palace Theatre where I went with the school and the sweet shop opposite that sold lovely sherbet lemons. The Palace Theatre used to have wooden phone boxes inside the foyer with sliding doors exactly the same as they had at Watford Junction. Watford Junction, mmmmm, the smell that used to waft across the front from the cafe was luvverly, I can still remember it now. Opposite the Junction in Woodford Road, you could get the 142 and the 258 to London and the small single decker green bus to Two Waters Garage in Hemel Hempstead. Does anybody remember a firm in Woodford Road called Technical Designs? Know as TD, my mum used to work there and I’d walk down Queens Road with my toys to meet her from work. Completely unaccompanied, you couldn’t do that now, could you? I read the comments about Rozalex with great interest. I actually bought the brand 18 months ago from a former Unilever company where it had been lying almost dormant for 20 years. I can assure all readers of this thread that the brand is very much alive and going from strength to strength. Please visit http://www.rozalex.co.uk for more info. To Jeremy Prior, thank you, that is the name of the jewellers. also, MacFisheries would have been where mum bought the sprats. Must comment on a few interesting things two contributors have unearthed for me. To Hilly Buckman, the Jewellers in the High Street may have been Jacksons. They were the oldest in the town and founded in 1876. Their business was sort of opposite Clements Department Store roughly where there’s a flyover cutting right through the original store building. Jackson’s shop was on a site that dates back to about 1500. I often walked past Jacksons on my way to Choir Practice so never had time to stare in the window and drool over the lovely wrist-watches on sale there. To Ross King I wish I could remember the name of the store he says was East off the High Street. The only two roads that were turnings off the High Street were Clarendon Road by Garners Bakery, and which had the Palace Theatre and Carlton Cinema in, but I don’t remember a Provisions shop there. Or Queens Road which had Trewins (John Lewis owned store) and Watford School of Music plus a few shops in the first half of Queens Road such as Television Dealers and that kind of thing. grew up in the area at the time, watford was great. as a teenager Musicland next to the Wimpy was the place on Sat Lunch. Top Rank was the place to be. Wonderful evocative memories and a beautifully written peace. The annual fair at cassiobury park was amazing and of course The Who played the Trade union Hall. In answer to Eddie O Konnor’s contribution and question. The first ever supermarket in Watford on the Parade opposite the Odeon Cinema (which later became Top Rank) was FINE FARE. I think Fine Fare in recent times morphed into Key Markets possibly later on the International Stores got involved in ownership but I’m not sure as here in the West Country Key Markets and International were bought out by Gateway, later to become Somerfield or something like that. To Kathleen Bennett; The only shop with Coffee smells I remember were the place that sold coffee beans and roasted them on the premises. It was two doors along from Chef Corner Cafe which was opposite front of Odeon Cinema and I can’t remember what it was called. The first shop beyond Chef Corner was Woolcotts a sweet shop and tobacconist. I bought an Italian Coffee machine from the Coffee retailer in 1969 for just £11.0 I still have it to this day and it still works! Comment to John Harris. You’re right about Dirty Paws product no longer being available (my mistake). It probably lost popularity on account of any product called “Dirty” in the trade name might not have a superb appeal! But on the subject of Rozalex it most certainly is still sold. I found tubs of it online today being sold on a Classic Car Renovation site and they did Dri-Guard and Wet-Guard versions of the Barrier Cream. The price was just over 5 uk pounds per jar that’s about $8 at today’s Exchange Rate. So Rozalex still lives – Amazing. Dirty Paws doesn’t ! I should add that I am not giving any company free advertising here. I haven’t bought barrier cream for a very long time. I now use surgical gloves to protect my hands from ghastly oily stuff when doing mechanical jobs. I noticed the other day the AA Roadside Repair and Rescue mechanic uses disposable surgical gloves too. Good for him. Very well written article – bringing back good memories. For a few years, I walked each Saturday morning to the Music School when near the Market for piano lessons and then, when possible, on to queue for the childrens’ cinema. I recall cattle being driven to the Cattle Market and shopping with my mother in Watford’s then covered Market. Being then a passionate young gardener, I looked avidly at Wards stall – and remember being invited by the elder Mr. Ward to go with him to Holland when he next went bulb-buying. The joy of a time when this would be seen as OK and fine! I cannot recall the name of the provisions shop off the East side of the High Street, but recall when it first broke the mold and started offering self-service. It all seemed a safer, gentler and less threatening time – a more human and cohesive period. My father used Dirty Paws too, but I doubt if you can buy it today, because when I Googled pages from the UK with to see if I could buy some, only there were only 18 hits and none were advertising the product. This article came top of the 18! Thanks galore to everyone for their very kind comments about my memories of old Watford. To Eddie O Konnor I must say yes *Moved* I remember the first Self Serve proper supermarket opposite Top Rank (Odeon then) it was FINE FARE – does that ring a bell? My friend Geoff who lived at Wiggenhall Road down by the River Colne tried to pilfer a packet of Beech Nut Chewing gum and the manager of Fine Fare saw him, as they had columns in the supermarket with mirrors on all four sides. He caught Geoff at the checkout and advised him to put the chewing gum in the basket! He did and went very red! But he let him off with a quiet ticking off. He was a nice guy. The very first self service store was actually the Co-Op just along from Fine Fare who were technically the first to introduce the idea of helping yourself with a wire basket. They were near to a Stove and Fires shop called oddly Cakebread Robey do you remember them. My mum and dad bought an Esse stove from there. Stan Pike was in that parade too with a Newsagents and Tobacconist. Thanks too to James Russel for that lovely picture of Marsh and Russel store. The store was the best Ironmongers and Hardware in Greater London in my opinion. A very interesting and well written article. The mention of Marsh & Russell. brought back memories. As a young teenager I spent many a saturday working on the bench cutting plywood and glass to size to supplement my pocket money. I would often spend it later on a visit to the Empire cinema. I have enclosed a photo of Marsh & Russell taken in the early fifties, with manager Mr Harold D’eath and assistant manager Mr Eric Knight. I enjoyed my younger days in Watford but left nearly 40 years ago to live in New Zealand, but still keep up with the local news, thanks to the internet. An excellent trip down memory lane. I was one of the team of DJ’S at the Top Rank and also sometimes at the Clock House if anyone remembers those venues. My mind has been wandering to what supermarkets were in Watford in the early to mid 60’s especially the supermarket opposite the cinema [ subsequently Top Rank ] – can anyone help – was it Gateway?? What a lovely article about Watford – I lived in Hempstead Road two doors from the library and all the comments said I remember as well – the days spent in Cassiobury Park swimming in the lock gates and changing in the toilets next to the paddling pool. I attended Chater School from 1945 – 51 and what a long walk it was. Don’t forget grillos ice cream on the parade every Sunday afternoon, they were just magic. When it was rag day at the college in Hempstead Road our front garden was covered in everything to blue ink which the pond colour became and everything you can imagine. The queues outside the Odeon & Gaumont cinemas for the 1/9 seats and waiting for the commissionaire to let you in. The memories of sitting in the Mocha Bar with one cup of chocolate all evening and gazing out of the windows to see who was going by – those were the days. Every time I read this tale of Watford it makes my day. I also remember the old high street with Cawdells and Clements dept stores and walking up the side of Cawdells to get to the market where we all brought our jeans from Charlies Stall. And as for the Town Hall I used to go often to watch the wrestling that was held there about once a month, Saturday Morning Pictures at the Gaumont Cinema and as we got a bit older we went to the Regal Cinema to listen to pop music in the lunch hour. It is a shame it has been destroyed, even the Lodge and gate to the park has gone. I love this article on Watford , it is nice to read the very same things I remember from my childhood as I was born in Watford in the front bedroom of 75 Liverpool Road and I remember all the places mentioned like Rossie’s and going to London from Watford High Street Station. In those days the Bakerloo Trains ran from the Elephant and Castle to Watford Junction, which has been demolished and replaced with a non-descript building. A wonderful page. This guy always writes beautifully about the Watford of the 1950’s and 1960’s; there is nobody better to provide an accurate and memory tugging account. More please.